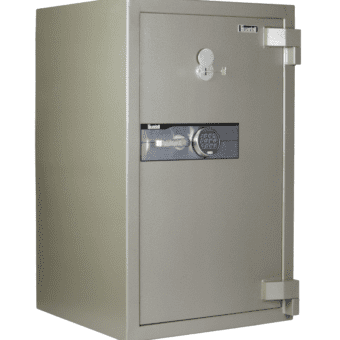 Commercial and cash safes from Safeguard Safes are suitable for where high-security commercial business applications are taking place – anywhere in Australia. 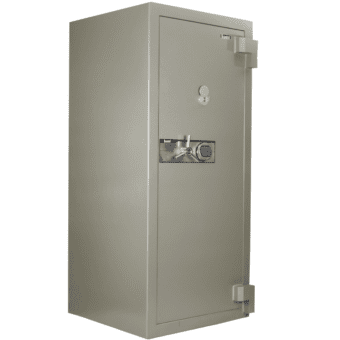 Whether your business stores anything above $1k in cash or regularly stores over $500k in any format, you need a commercial or cash safe that can easily meet your requirements. Our safes are used by hotel and hospitality chains, large capacity venues and many other businesses that require something valuable to be kept in a safe, whether it be jewellery, dollars or more. Large corporate businesses especially benefit from our data storage solutions through our options for storage of sensitive company data as contained on hard drives or USB backup storage devices. 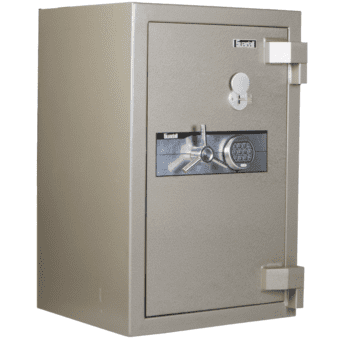 Not only are these impervious to unauthorised access, but they can also withstand fire and other elements that would otherwise render your data useless.These corporate safes can be as discreet or as large you need them to be. LOCKTECH SAFES ARE CURRENTLY BEING RE-BRANDED AS EAGLE SAFES. Why A Security & Fire Resistant Safe Is Essential For Your Home? Break-ins, home invasions & Fires are on the increase. Protect your valuable assets such as jewellery, cash, passports & irreplaceable original documents from fire & burglary. 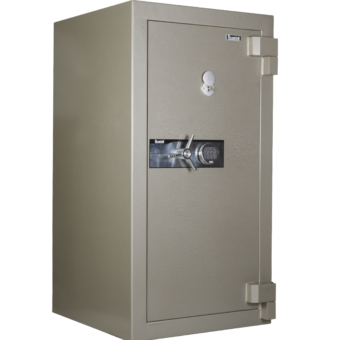 Safeguard Safes have a comprehensive range of certified fire & theft resisting safes ideal for protecting your important possessions against a series of attacks by such means as drills, grinder, crowbars, sledge hammers etc. We also provide an expert delivery & installation service Australia wide by qualified licensed professionals. They can securely bolt down your home safe which will provide excellent protection from a burglar simply picking up the safe and taking it away. Which home safe has the right protection for you? To assist you in selecting the right home safe view our safe buying advice information or call 1300 764 471 and speak to an accredited licensed safe advisor. Our new & improved deposit safes have anti-fishing devices included to prevent removal of deposits once made. Some digital locking models have a self-locking latch which automatically locks when the door closes. This greatly reduces the chances of staff leaving the safe open. Safeguard Safes offer a wide variety of commercial grade deposit safes to cater for the level of security required for your business, from under counter safes for quick deposits to small retailers safes to store limited amounts of cash to high security business safes to deposit large amount of cash offering maximum protection during and outside business hours. If your business is dealing in cash on a daily basis then a deposit safe has proven to be a effective way to secure and protect your cash. One of the advantages of a deposit safes is that staff can simply ‘skim the tills’ reducing cash register holdings to a minimum. 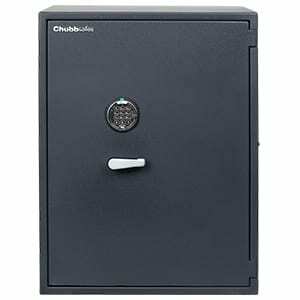 Cash can then be deposited quickly and easily into the safes deposit chute, where it drops into the main safe area or into a internal lockable safe compartment. This can all be done whilst the safe door remains locked. Access to the safes contents can then be limited to the manager therefore reducing contents accountability to one person, this is essential where cash control is vital. Why Security & Fire Resistant Safes Are Essential For Your Home Or Office? Fire incidents are on the rise because of increased usage of things such as electrical equipment, power tools, computers, photo copiers, air condition units, petrol, gas, etc. Also the use of flammable materials in buildings for example plastics, nylon carpets and suspended ceiling just to name a few and insurance companies report alarming increase in arson. So there is a very good reason why a fire & burglary resistant safe will always be the first choice for the home or business owner who demands security & quality. They offer a wider range of powerful security features combine with exceptional fire protection to meet your commercial or home security needs. Ideal to secure cash, jewellery, documents or expensive valuables from theft or fire. Safeguard Safes has a large selection of premium quality fire resistant safes that have fire protection certification. 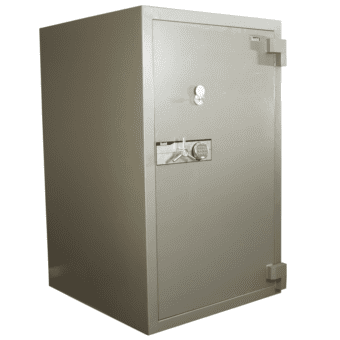 This provides you with guarantees that the safe has been tested to comply with stringent fire standards assuring you of maximum protection for your important documents should a fire strike unexpectedly. Fire resisting safes will not provide protection for data media, so please view data safes. Would Your Valuable Document Survive A Fire? Safeguard Safes has a large range of premium quality fire resistant safes that carry Fire Protection Certification. This provides you with guarantees that the safe you purchase has been tested to comply with stringent fire standards, assuring you of maximum protection for your important documents or irreplaceble files should a fire strike unexpectedly. When selecting a fire resistant safe our Fire Rating Classifications under safe product information is designed to assist you in finding the appropriate level of fire protection for your needs. 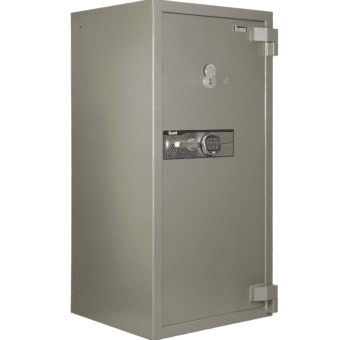 It is important to note a fire resistant safe is constructed from special fire resisting materials which provide excellent protection against fire to guard your paper documents, cash, valuables only, but a fire resisting safe will not protect media data. 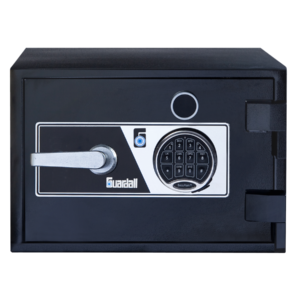 If you need a safe to protect your digital media, disks, films, photos or computer files, view our Fire Resistant Data Safes & Data Inserts under our Safe Range. It is your legal responsibility to ensure that any prescription medicines on the premises are securely stored in a drug safe that is Australian Health & Pharmaceutical compliant as regular audits are being conducted by the relevant authorities to confirm you comply with the regulations. 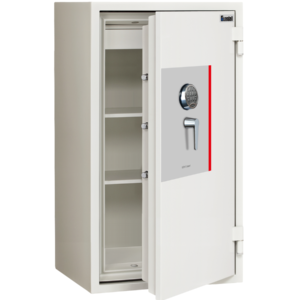 Safeguard Safes stock a huge range of high quality Australian Health & Pharmaceutical Compliant drug safes for the secure storage of prescription drugs. We have been Australia's preferred supplier of drug & medical safes to the majority of pharmacies, hospitals, veterinary clinics, dental practices, medical clinics and nursing homes for over 55 years. We have also provided medical drug safe advice to the Pharmacy Guild of Australia and the Pharmacy Board of Australia. 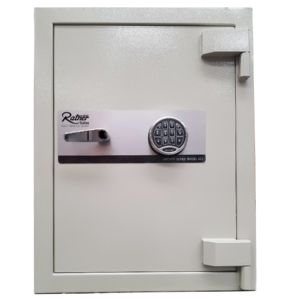 Our Pharmaceutical and medical drug safes incorporate the latest design improvements in drug safes security including digital or swipe card control with multiple user access and full audit trail management. 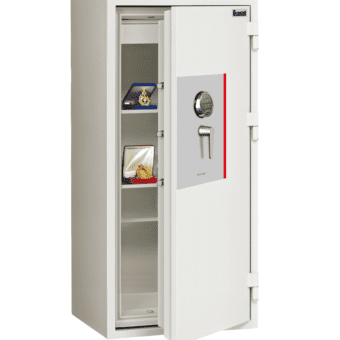 Our drug safes can also be integrated into existing hospitals security systems giving full access control and monitoring over all drugs safes on site. Our licensed safe technicians have the skill, experience and expertise to deliver and install any drug safe to meet with government regulations. Safeguard Safes offers fire resistant storage solutions that can meet your storage requirements. A common concern when it comes to storing data is having a storage option that allows for both paper documentation as well as data storage devices to be protected. 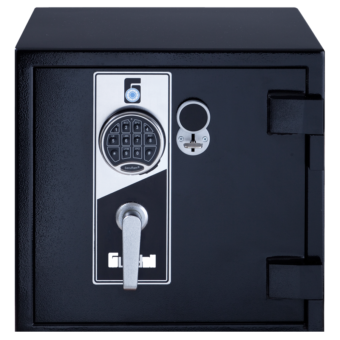 This option is a cost and space effective method of storage, as it prevents you having to purchase two separate safes – one for your paper data and one for your electronic data. It also allows you to control access to all your sensitive information without having to remember multiple codes and keys. Fire resisting cabinets are perfect for use in corporate businesses where sensitive information needs to be kept secure but also readily available. This includes legal, insurance, accounting and mortgage broker companies. As with all our safe products, we offer on-site installation, servicing, refurbishment and maintenance services for your convenience. A computer can be replaced, but the information can't. More & more businesses are using computers to handle everyday business information. With the wide spread use of computers, the need to store data media such as server back up devices, microfilms, discs and USB storage devices, etc. is vital. 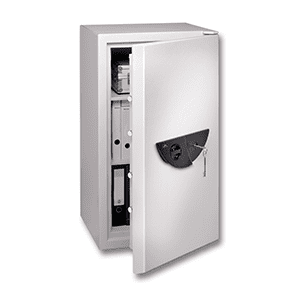 Our data safes provide an exceptional level of fire protection. They are tested and approved by one of the most demanding fire tests in the world. The UL Class 1 or 2 hour endurance test. This allows a variety of digital data media options to be stored. With fire protection certification, you will be guaranteed that the data safe you have purchased will provide a high level of fire resistance against severe fire, humidity, excessive heat, dust, magnetic field and accidental damage. They will also protect paper documents. 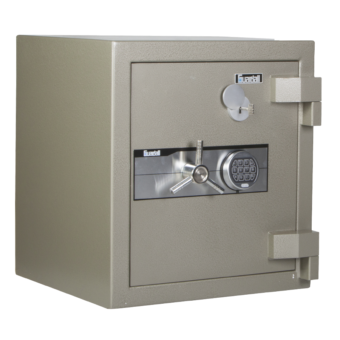 Burglary & fire resistant safes do not provide suitable protection for data media. Fire tests have proved that computer data stored in a fire rated safe or cabinet designed only to protect paper documents would be destroyed in a few minutes. Our safes provide maximum protection against burglary & fire. Our large selection will be the first choice of the home or business person who demands quality. They are ideally suited for commercial applications where user access needs to be strictly controlled and are essential solution in protecting your important assets such as cash or valuables, documents or business records. 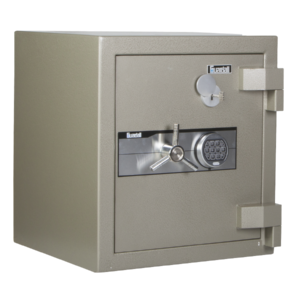 Our office safes offer powerful security features that are normally reserved for high security safes. This assures you of a high level protection to meet your commercial & small business needs, whilst also providing fire resistance for all your important documents. Which office safe has the right protection for you? To assist you in selecting an office safe view our safe buying advice information or call 1300 764 471 and speak to an accredited licensed safe advisor. In addition to our standard and customised safe offerings, Safeguard Safes also regularly offers its clients special, reduced price safes and regular stock clearance sales on overstocked items, decommissioned models and more. You can expect to find these items priced to clear as we prepare to make space for newer and more advanced products to come in. 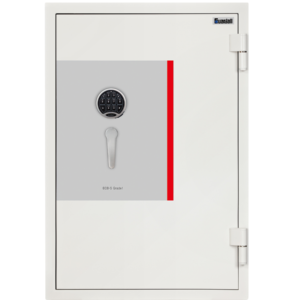 Our safe specials are excellent quality and ready for installation, and we offer a massive range including new, pre-owned or refurbished safes, so make sure that you enquire about our specials. We suggest that you contact us to discuss your safe requirements and your budget to see if we have a safe special that meets them, or even if we can find another option within our safe range that can suit your needs. Our new & improved range of high quality Electronic guest room safes have been installed into hundreds of hotel rooms and accomodation appartments throughout Australia. They are the first choice with the majority of leading accomodation chains. Recognised for their reliability, performance and user friendly operation whilst offering security and convenience to your guest. The in-room safes are designed with style & elegance whilst incorporating the latest in state-of-the-art technology and also to accomodate the most commonly stored items such as laptops, mobile phones, valuable documents, etc. Features such as simple easy operation by 4 to 6 digit pin code or credit card access. Easy to read large LED keypad display. Full management system for immediate access - change or delete options - management holds control over all safes. Where a high level of security is required Safeguard Safes are the preferred suppliers to the majority of Government & Defence Departments, and Law enforcement agencies for over 55 years and we hold many Government & Defence contracts. Our SCEC approved safes and cabinets have been trusted to protect the assets & classified material of these organization Australia wide. SCEC approved equipment are given a Class such as A, B or C and products include safes, filing cabinets, vaults & strongroom doors, key custody safes & security containers. We have SCEC approved safe technician qualified by training and are experts in this area who can professionally deliver, install, service, open or repair Government & SCEC safes and we can upgrade your old SCEC equipment that may not comply with current SCEC regulations anymore by simply installing the current compliant electronic digital lock. This is a more cost effective solution rather than purchasing a new SCEC safe. Contact Safeguard Safes and talk to an accredited SCEC approved safe advisor to help select the right product for you. Keys or cards provide access, this means the security of these items is vital for a lot of industries. 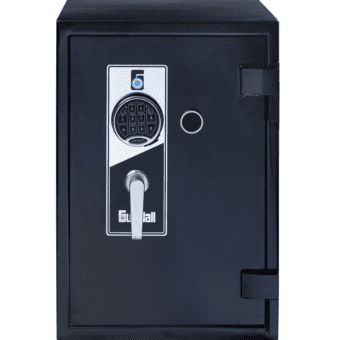 Safeguard Safes has options for the storage of keys or swipe cards in safes specially designed for this purpose. You can store house keys, automotive keys, fobs and high-security keys for any purpose. This is a useful option for places like hotels that need key storage to house and protect keys and fobs as well as car dealerships or Councils that need to store dozens of car keys and high-security master keys respectively. Many clients are not aware that there are safes created for the purpose of storing these specific items and instead opt for poor quality thin steel cabinets that can easily be penetrated. We offer our clients standard low budget low-security key storage which acts as a great deterrent in office environments or any place where the keys are not extremely valuable and the level of security needed is not high. 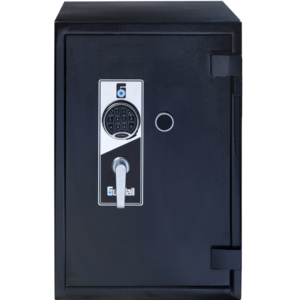 Alternately, our high-security heavy duty style cabinets provide serious protection against burglary attacks and can house 100's of keys if needed. These safes let keys be hung on internal hooks with removable hanging boards and removable sections. This provides the convenience of being able to carry large amounts of keys around if needed. 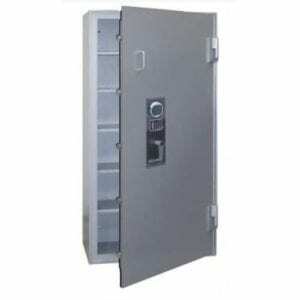 Safeguard Safes stock and supply a small range of gun safes for the protection of guns. If you have a gun or rifle on your business or personal property, then you should ensure you have the necessary means to store it safely and securely. 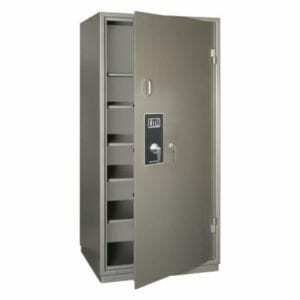 We stock high-quality rifle safes and pistol safes that are secure against possible theft. 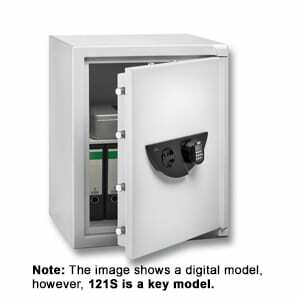 These safes are in full compliance with government regulations and come standard with a minimum One Year Warranty. Some have warranties up to 5 years with 2 years on the actual locks. To get the best out of your gun safe, allow us deliver the safe to your property and have it installed by knowledgeable and skilled technicians who know what they are doing. Alternately, if you are not sure what particular safe would best meet your gun storage needs then contact the team at Safeguard Safes today and we will be happy to discuss your options with you. 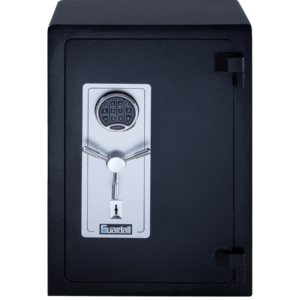 Wall & Floor safes are ideal for storing valuables such as precious metals, coins, cash, jewellery or other small but expensive items. Safeguard offers a wide range of top quality in-floors or in-wall safes of various sizes, so before selecting a safe you should determine what type of valuables you want to store in it taking into consideration to allow a bit of extra room for things you may require in the future as you might be surprised at how little space there is for storage in a floor or wall safe. Also, it is extremely important to choose the most secure and safe location to install the safe, keeping it concealed and secret, so a burglar cannot easily find it and simply cut out the safe and take it with them to open at a later time. You can contact one of our licensed safe installer who has the skill, knowledge and expertise dealing with clients with similar needs as yours. We would also strongly recommend to have your safe professionally installed by Safeguard Safes technician. Our fire resistant filing cabinets are designed to offer 1 or 2 hour fire resistance without compromising on the usual security requirements of a safe. They are manufactured to the highest standards assuring you peace of mind in case of a fire. Not all fire safes provide the same protection, so it is very important to choose the one that meets your storage needs. For example a fire safe designed to store documents and vital paper records will not provide the same protection for digital media such as computer files, discs & films, etc. You will need to select a Data Safe or Data Insert which will provide Fire proof protection for data storage if this is your requirement. A small fire can quickly turn into a raging inferno, so ask yourself would your documents survive such a disaster? If you have an existing fire safe that is getting old, this may hold no fire resistance at all now, due to the fact of shrinkage and movement in the fire retardent insulation in the body of the safe over many years. To help you further to find the right fire resistant safe contact Safeguard Safes on 1300 764 971 to speak to an accredited & licensed safe adviser. 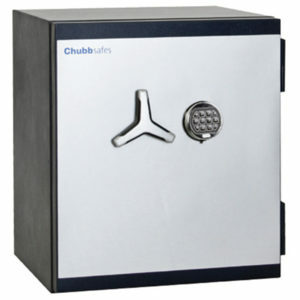 Our commercial safes are in high demand with several retail chains across Australia, including metropolitan areas such as Victoria, Queensland, and New South Wales.These safes have been optimised for the unique needs of retailers, where a high cash volume on the premises is a daily reality and robbery, burglary and internal theft is a constant concern. 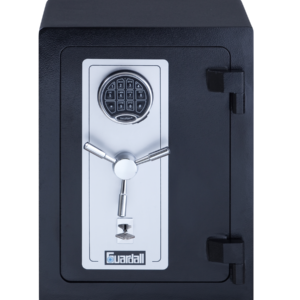 Here, an investment in a high-quality commercial or cash safe more than pays for itself as it is used over time to keep one’s daily assets secure. 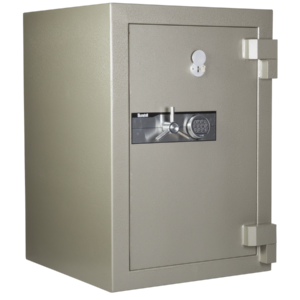 Our discreet retail safe options include floor and under-counter safes. 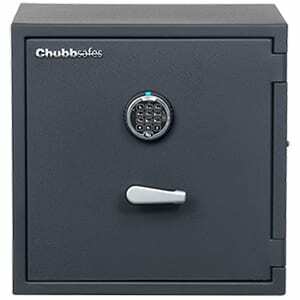 Cash management Safes are best for retailers who need to make frequent cash and coin deposits and a mailbox or deposit slot safes are suitable for retailers who need to allow staff members to make frequent deposits, without providing access to casual and low-level employees who often handle the cash. Selecting The Right Protection In A Home Safe? The most important initial question to ask yourself when deciding on a safe is what you want to protect. Cash & Valuables, paper documents or both. To help find the right safe for you we always recommend purchasing a safe which has Burglary protection certification or Fire protection certification or both. 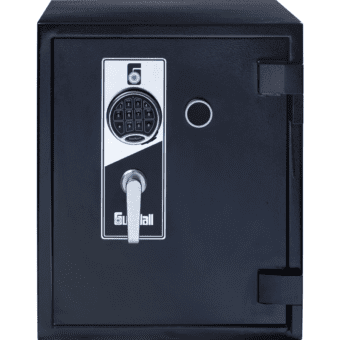 These provide you with guarantees that the safe has been tested and manufactured to the latest industry standards for burglary & fire protection. 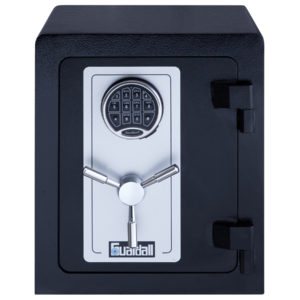 Our commercial grade deposit safes are the preferred choice by many leading businesses around Australia including financial institutions, retail chain stores, major banks, credit unions, government, police and defence departments, and many city councils. Our staff have the experience and knowledge to provide safe advice on the most suitable deposit safe to meet your needs whilst also recommending the most secure location for your safe and also provide that all important information on the best method to anchor the deposit safe down to give it the highest level of protection. We also offer a professional safe delivery and installation service, conducted by experienced, accredited and licensed safe technicians who have the skill and expertise to provide such a service based on years of experience to clients with similar safe needs as yours. Don’t put your security at risk, don’t use a unlicensed safe company, make sure you call Safeguard Safes, a name you can trust. Would Your Valuable Documents Survive A Fire? A small fire can quickly turn into a raging inferno, so ask yourself would your documents survive such a disaster? If you have an existing fire safe that is getting old, this may hold no fire resistance at all now, due to the fact of shrinkage and movement in the fire retardent insulation in the body of the safe over many years. To help you further to find the right fire resistant safe contact Safeguard Safes on 1300 764 971 to speak to an accredited & licensed safe adviser. 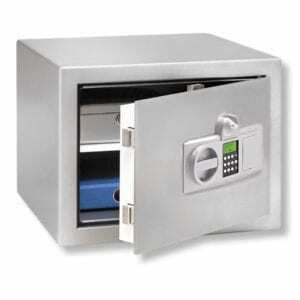 We sell 1 and 2-hour fire resistant filing cabinet safes and they can come in 2, 3, 4 drawer options. These can be used to store standard A4 documents and can also include a specialised data insert boxes to protect hard drives, disks, CDs, USBs, and other computer accessory storage devices. These cabinets also come with a security rating that allows you to store low to medium value items for your peace of mind. 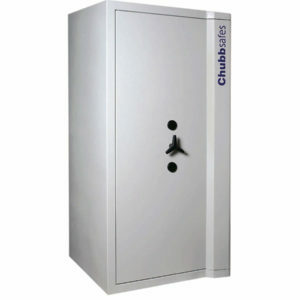 Choose from a Chubb, Diplomat or Locktech brand cabinet, with a fire rating of 30 minutes to 120 minutes. Our wide range of prices ensures that you will find the perfect fire resisting cabinet for your budget. Should disaster strike in today's computer dependent work place, it's imperative to have the right protection for those important computer data information that just can't be replaced. 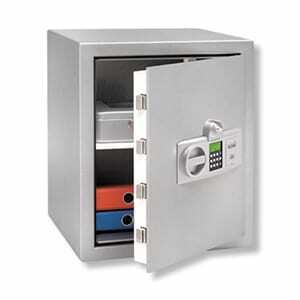 Data Inserts are also ideal for the storage of data media when placed inside a suitable fire resistant safes. 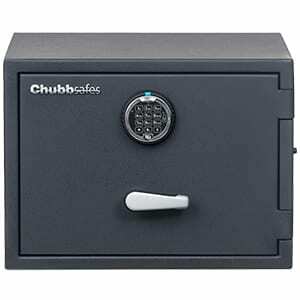 There are a lot of cheap quality office safes being sold in today's marketplace in such places as large hardware stores, online safe stores, retail chains, etc. And more often than not, the sales person will have no experience or knowledge in safes. 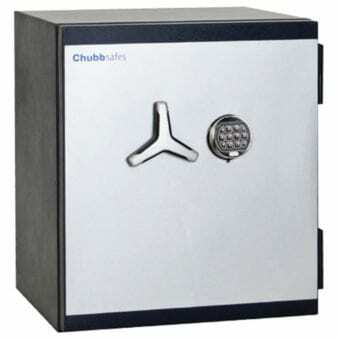 Whilst cheap safes are very inexpensive they may offer very little security and come with no cash or fire protection. Don't put your cash and valuables at risk by purchasing a cheap low cost safe from an unqualified and unlicensed sales person. 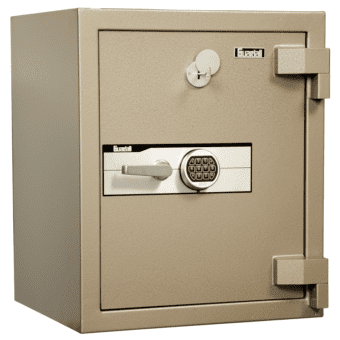 Come to the professionals at Safeguard Safes. “I get all my safes for my various office locations from Safeguard Safes. I have done so for years. They are the only place I really trust to offer me a safe special that I know is of a really good quality. Just because you aren’t buying a brand new safe doesn’t mean you are willing to put up with poor quality. I know that if I select a pre-owned or refurbished safe from Safeguard Safes it will perform as expected as long as it needs to. I outfit various different types of offices with safes. No two offices are the same and there is never a one-size-fits all solution. 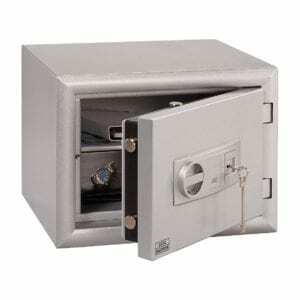 Safeguard Safes recommends the ones that will work within my budget and needs and not the most expensive one. Our guest room safes keep theft out and also provide internal security to enable management to properly control access and tighten internal security. Our smart in-room safes can for example detect if there is any suspicious theft from a safe as the unit can produce downloads of the last events from the safe's memory. This dramatically reduces fraudulent claims saving you both time and money. 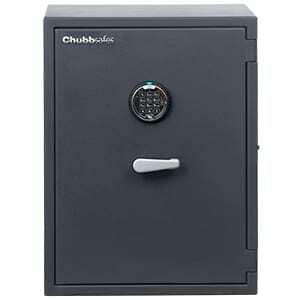 Safeguard Safes stock key safes and cabinets ranging from as little as $30 to close to $20 000, and we are the leading supplier of Guardall Safes. You can store a single bunch of keys or hundreds if you desire. Single key holder safes are a low-cost option that can be mounted on a wall or attached to fences. VIA padlock style options provide access to keys through a push button mechanism and hinged drop down doors allow for access into the property if the original access key is unavailable. Keep your vital information secured against fires. No business can ignore the possibility of a fire. Fire is one of the most serious threats to the security and survival of any business. Fire destroys essential information that is difficult or impossible to replace. You can be protected from this outcome by ensuring your essential paper records will survive a fire by protecting them in a genuine effective fire resisting filing cabinet. The theft of dangerous and addictive drugs for Dispensaries & Hospitals, etc. has become a problem that is far too serious to be ignored. Our drug safes offer excellent protection against forceful attacks and satisfy the regulation requirements for the secure storage of dangerous drugs. Copyright © 2018 Safeguard Safes.